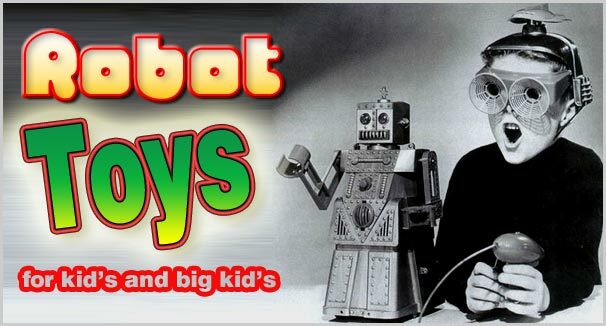 Robot toys have always been a source of inspiration and fascination to the inquisitive minds of children and provide the perfect introduction to the world of technology, in the fields of both mechanics and electronics and of course they are great fun to play with, for kid’s of all ages. Our team of highly sophisticated robot droids have been searching the Internet to find the best robot toys for kids, that provide educational value as well as a major fun factor, for the young budding roboticist of tomorrow. 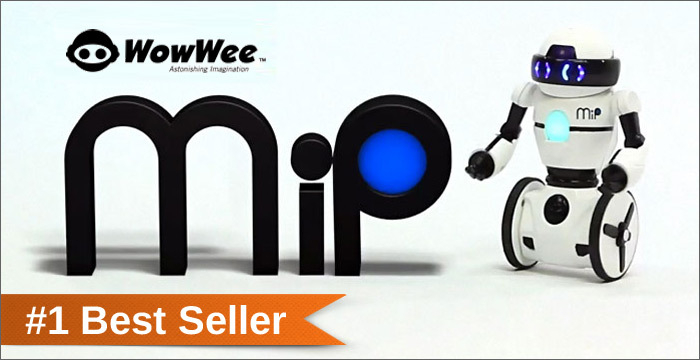 One of the best selling robotic toy’s last Christmas was the very impressive MiP robot from WowWee Robotics. MiP incidentally is an abbreviation for Mobile Inverted Pendulum, which is quite appropriate as MiP is the first self balancing robot to make it onto the toy shelves. 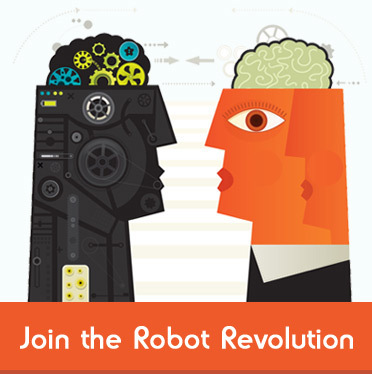 Not only can this cute robot balance on two wheels but he can also perform a multitude of tasks and tricks by responding to his owners hand movements but for maximum control it is best to download the free ios/android application, which will allow you to plot a route that MiP will follow in the real world, as well as other entertaining games and tricks. Great fun for all the family and one of the coolest robot toys available to buy today. Sphero 2.0 by Orbotix is one of the most sophisticated and highly programmable robot toys ever made, suitable for children and adults alike, Sphero is housed inside a high impact, waterproof, polycarbonate shell which also provides this smart robot with advanced, responsive transportation across even the most demanding of terrains. Sphero is iOS and Android compatible with over 23 games and apps available for download, there are tons of ways you can play with Sphero and there’s definitely something for everyone, from kids and pets, to adults and gadget geeks and its innovative cable free induction charging means it’s always ready to play. You can drive it and build racing tracks or obstacle courses and it’s even water-proof so you can take it for a swim, you can pick it up, hold it in your hand and use it as a controller for games such as Exile, which by the way is totally addictive. Sphero has also re-invented the idea of board games, so you can gather friends and family around for table top games such as ColourGrab and if you have more than one Sphero you can play multi-player games like Tag. 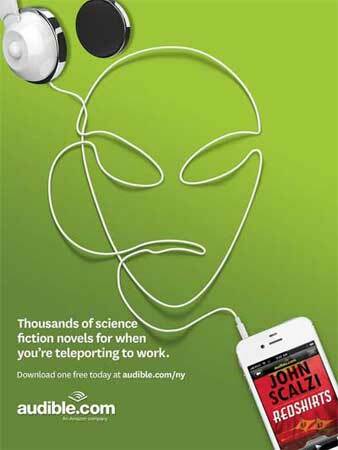 The latest additions to Orbotix’s growing library of impressive apps include augmented reality games which turn your Sphero into a fireball shooting zombie killer in the virtual zombie apocalypse game the Rolling Dead, or even a cup cake eating beaver in the wacky Sharky the Beaver. 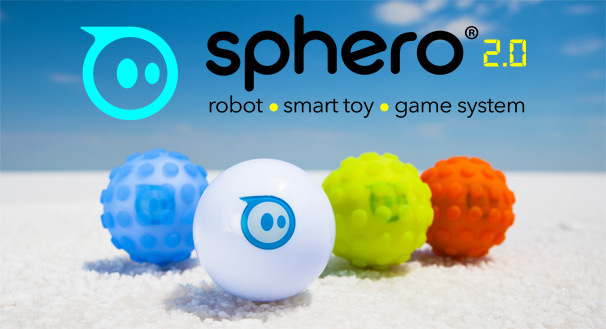 The future of robot controlled gaming has arrived, Sphero by Orbotix, the only robotic ball you will ever need. The first Robosapien rolled off the production lines at WowWee Industries almost nine years ago but its prohibitively high three figure price tag meant that it remained in the hands of only the most dedicated of toy robot enthusiasts. However, as with most things technological the price of WowWee’s flagship product has plummeted, to a level that now makes it available to a wider range of young robot enthusiasts. Robosapien’s impressive feature list has been honed to perfection over the years, ensuring that it still remains one of the most advanced fully programmable robot toys out there, beware of cheap imitations, there is only one Robosapien. Meet your really cool new friend Cogsley the Robot, from VTech, Designed for children from the ages of three to seven years old, Gadget will teach your little one all about letters, numbers, objects, music and so much more. Cogsley makes learning fun, with a mixture of letter, object and funny computer chips your child will enjoy the learning experience displayed on the built in LCD Screen. Simply pop in one of the chips, turn his nose and watch as his eyes and eyebrows move, twist Cogsley’s eyes and ears for fun sound effects and spoken phrases. Cogsley’s body also spins around and his ears, eyes, arms and eyebrows move, he almost has a life of his own, he will even dance and react to clapping noises. A fantastically fun, educational toy to start developing your child’ basic maths skills, stimulates independent play and helps to heighten curiosity as well as encouraging exploration, Cogsley the Robot only from VTech. Attacknids by Combat Creatures, the ultimate in battling robotics have arrived, featuring high velocity dissector discs, 360 degrees total control and ‘explode off’ combat armour, your target the electronic ‘battle brain’, three direct hits means Attacknid Shut Down. UK based toy maker Wow Stuff, worked with robot inventor Jamie Mansell to bring his giant six legged spider robot to the toy shop. The result is Attacknid, remote controlled combat ready robots that can move around and aim and fire at each other with darts or discs. If an Attacknid is struck too many times it becomes disabled, making the toy just like a real life video game. Attacknids from Combat Creatures, let battle commence.